Made of Ply board with thick MDF sheet on top & bottom and 3 mm MDF sheet on back .Thick non-rattling glass provided on two side and front slanting glass door. 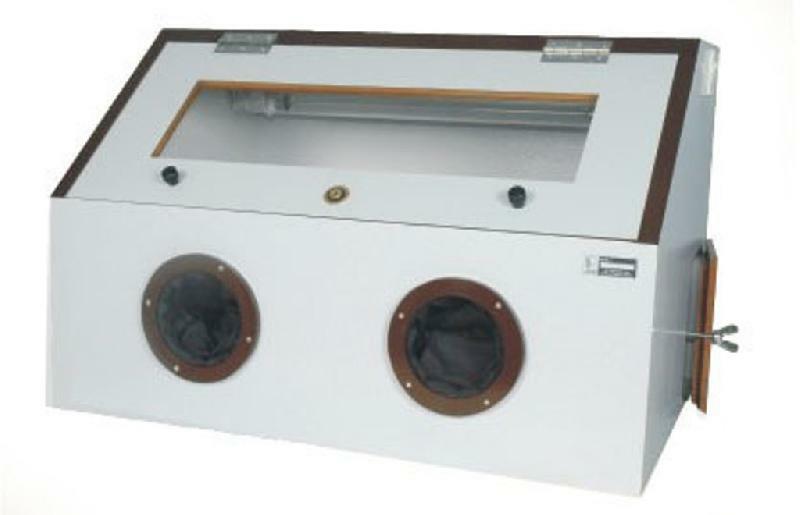 Front side slanting provided with open able glass door for convenient view of the specimens placed inside .Lower portion with round openings on front and one window on side. Inside painted white. Provided with one fluorescent tube and one Ultra Violet tube. Nicely polished. Made of laminated board.